One of the top executives at Chinese tech company Huawei has launched a broadside against Senator Marco Rubio and another US lawmaker, calling them "closed-minded and ill-informed" and ignorant about innovation. Huawei Deputy Chairman Eric Xu was responding to calls last week by Rubio and Representative Jim Banks for the US Department of Education to investigate the company's research partnerships with more than 50 higher education institutions in the United States. Chinese authorities are using Huawei "to position themselves to steal American research through so-called 'research partnerships' with American universities to exploit the openness of our system of higher education," Rubio alleged in a statement. "I think that the two congressmen are quite closed-minded and ill-informed," Xu said in remarks first published by industry magazine Light Reading. "Their behavior shows not just an ignorance of how science and innovation works today, but also their own lack of confidence." Xu made the comments in an interview Wednesday with Light Reading. Huawei emailed the remarks to other reporters on Thursday. Rubio and Banks were among 26 lawmakers who signed a letter to Education Secretary Betsy DeVos asking her to probe Huawei's research activities because they "believe these partnerships may pose a significant threat to national security." 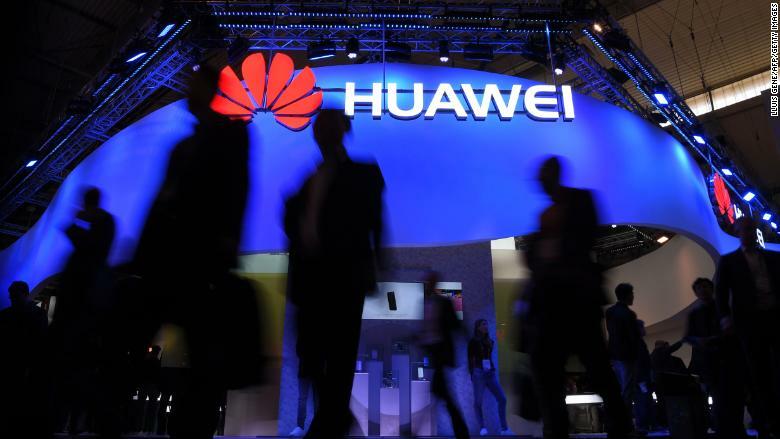 Huawei, which sells smartphones and telecommunications equipment around the world, has repeatedly come under fire from US lawmakers and government officials who accuse it of working under the influence of the Chinese government. Huawei has repeatedly denied that its products pose security risks, but it has remained largely shut out of the US market. It insists it's a private company owned by its employees. Xu said the lawmakers' concerns about Huawei's research partnerships were missing the point. "From basic science research to commercial application, it is a long, arduous journey," he said. "It often takes decades or even hundreds of years of effort in research and development to translate science or theories into something that is available in the market." Xu said that "Huawei does not have exclusive access to what comes out of these partnerships. We benefit, as everybody else does, from the general advancement of science and technology." The company's clash with the US lawmakers comes at a time of heightened sensitivity in Washington over China's technological ambitions. The Trump administration is imposing tariffs on tens of billions of dollars of Chinese goods following an investigation that accused China of stealing American intellectual property and forcing US companies to hand over technology. The Chinese government has rejected the investigation's findings.